I had a pleasant hour yesterday evening (26/5) with a sweep net on the dunes and upper saltmarsh at the North Dock (Llanelli) dunes LNR. The highlight was the presence of quite a decent number of grass eggar caterpillars, swept from coarse vegetation. 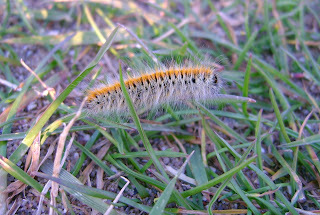 Plenty of the little white Elachista argentella and several green carpets were also noted. 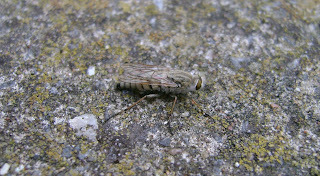 Several Crambus lathoniellus were netted and a single Aspilapterix tringipennella. 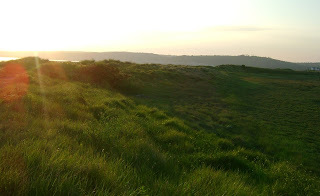 Above: the site with dunes (on left), saltmarsh to the right, looking north (inland). 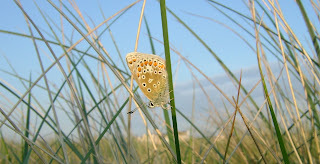 Above: having a rest for the night, a `roosting` common blue in its bedtime position. Above: one of the grass eggar caterpillars. 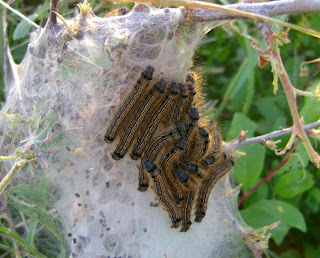 Above: an aggregation of lackey moth caterpillars on their nest at the edge of a stunted blackthorn. Above: the grass-moth Crambus lathoniellus. 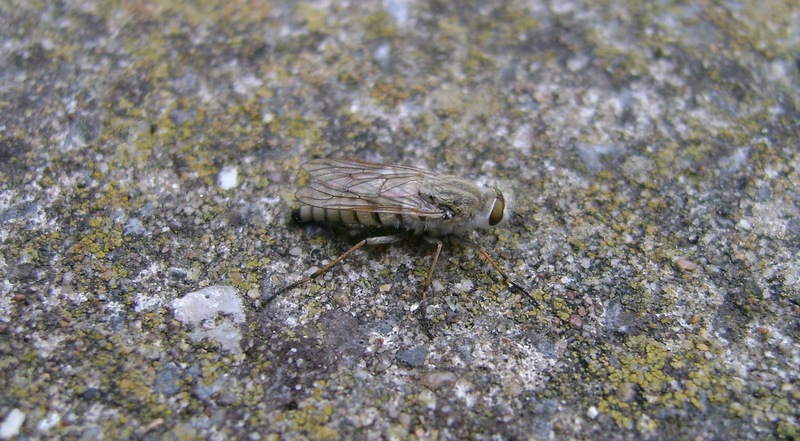 Above: for those who are interested, Acrosanthe (Thereva) annulata, a duneland stilleto-fly in this part of the world. 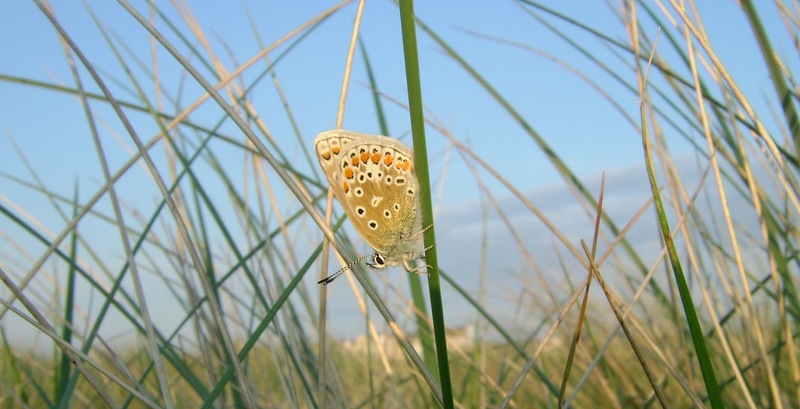 The much rarer (browner and larger) Thereva cinifera also occurs on the North Dock dunes LNR.